Influenced by history itself, by the emigrants, the travelers and conquerors, the Hellenic cuisine awakes memories from the past. Memories of triumphs and failures, of accomplishments and disasters, of victories and defeats. 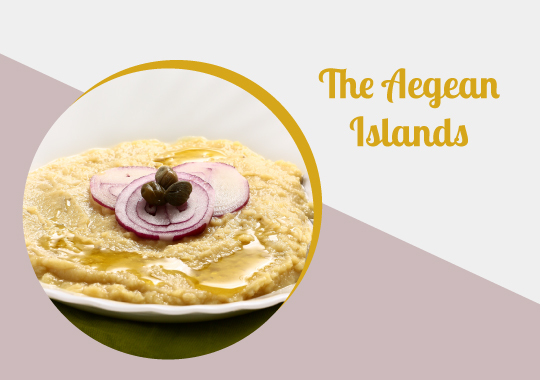 Scents and flavors from the East, from Asia Minor and Arabia, from Africa, Europe and the Americas that have been captured and reintroduced as authentic recipes in the local cuisines of Greece. Based on the different climate, geology and morphology, all regions of Greece have a distinct character, a unique soil where all locally produced goods differ from one another. The different raw materials and ingredients along with the local cooking traditions come together to create the most original recipes standing out from the rest. Each region with a unique character, with its own set of flavors, recipes and specialties. Let’s focus on some of the regions that really stand out for their gastronomic culture. 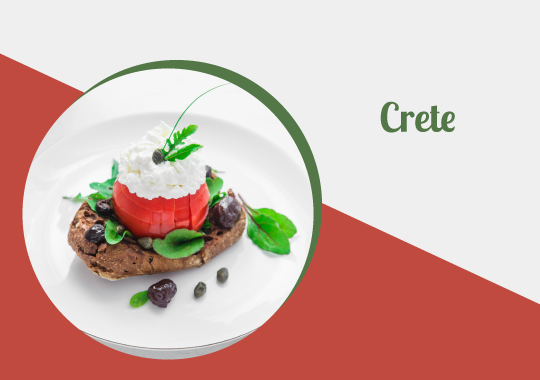 The Cretan cuisine is world renowned for its life-prolonging qualities and high nutritional value as it is mostly based on olive oil, local greens, fruits and vegetables as well as its livestock farming. While in Crete, make sure to try dakos (burley rusks topped with grated tomato, olive oil, local cheese and oregano), kalitsounia (sweet cheese pastries), snails with cracked wheat, gamopilafo (rice), artichoke hearts with wild hare, ofto or antikristo meat, rabbit cooked in wine, kid with spiny chicory and combine it with local raki (alcoholic drink). Resembling a vast fragrant garden with fresh fruits from Edessa, red peppers from Florina, Kozani’s saffron, wines from Naoussa and Drama, pulses from Kastoria, Macedonia is a heaven of flavors and aromas. 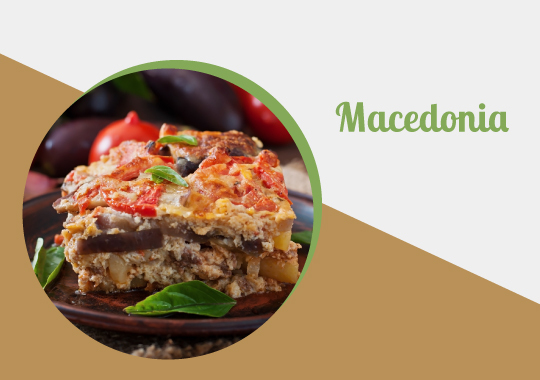 While in Macedonia, make sure to taste mousaka, saganaki, kebab meat, sarmadakia (cabbage rolls), soutzoukakia, pork souvlaki, tas kebab, gemista, vine leaves stuffed with rice, giouvetsi, stuffed squid as well as the tulumba sweet (fried pastry soaked in syrup), burek pie, bougatsa, tigona pastry sweets and kazan dipi. 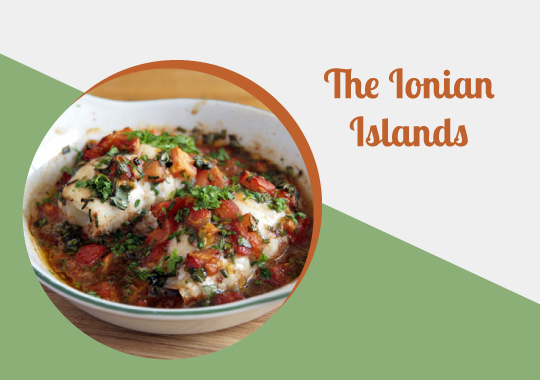 Mostly influenced by the Venetian conquerors, the Ionian islands are known for their very flavorsome dishes, all carrying an Italian flair. While visiting the Ionian islands, make sure to try pastitsada, sofrito, bourdetto, tsigarelli, bianco, savoro, tsilihourda, sartsa, skordostoubi, aliada, riganada and mandoles. 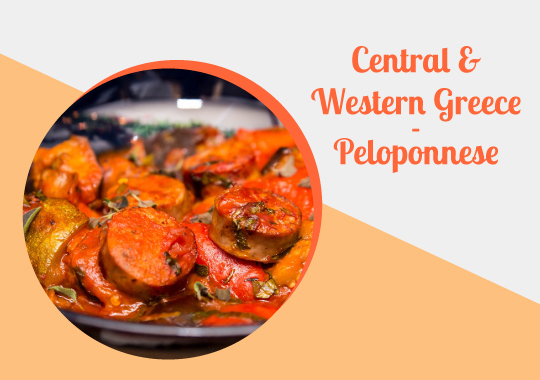 Cheeses, sausages, preserved meats, sundried tomatoes, fruits and vegetables, capers, pulses, fresh fish and herbs play a significant role in the gastronomy of the Aegean islands. While sailing the Aegean enjoy fava, tomato or courgette fritters, fennel pie, sardines, flomaria, patatato, pork with cabbage, spaghetti and lobster, patoudo, kakavia, tabourokeftedes, avgokalamara and many-many more. Organic fruits and vegetables are in abundance and so is the livestock. These regions are famous for their homemade pies, stews and cooked meats. Some of the dishes you must try while in these regions include spetzofai, bourtheto, stifado, trahanas and halvas. 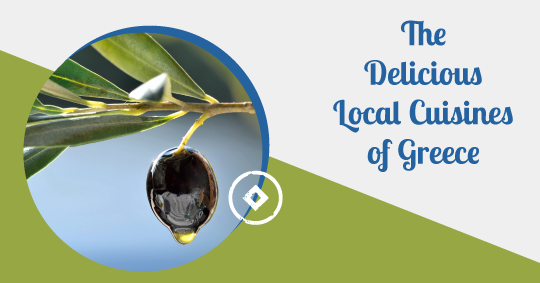 Now, that you’ve learned about some of the most exceptional local specialties of the Greek regions make sure to try them on your next visit and taste their unique essence according to their culinary heritage and tradition. This entry was posted in Crete, Cycladia Posts, Gastronomy, Ionian Islands, Peloponnese and tagged gastronomy, greece, greek islands. Bookmark the permalink.